1. Make contact with related bloggers online and offline if possible. 2. Post regularly. If it’s a news or gossip oriented blog, a least 3-5 times per day. If you have a resourceful post that will help others, point to it. 3. Research and comment on relevant industry related blogs and blogs with significant centers of influence. 4. Request feedback or reviews of your blog in relevant forums, discussion threads. 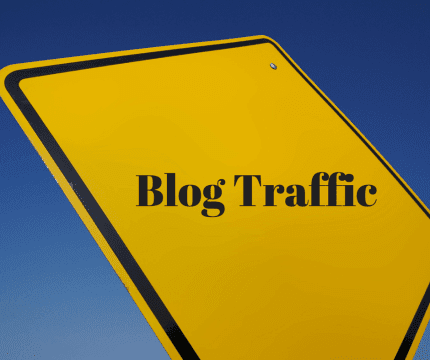 If it’s an authoritative blog, 3-5 times per week, each post must be unique and high value. 5. Monitor inbound links, traffic, comments and mentions of your blog – Google Alerts, Page2rss. Blogpulse, Yahoo News, Ask, Blogs, Technorati and Feeds. 6. Always respond to comments on your blog and when you detect a mention of your blog on another blog, thank that blogger in the comments of the post. 7. Optimize and distribute a press release announcing Website. 9. Use keywords in the blog post title, in the body of the post and use anchor text when you link to previous posts you’ve made. 10. Use social networking services, forums and discussion threads to connect with other bloggers. If they like your stuff, they will link to you. 11. Do you have any idea or remember when websites were a new concept and you are advised to print your web address everywhere you print your phone number? The same advice applies till now. 12. If your blog’s goal is to promote you as an authority, interview other prominent bloggers in your industry. Your own credibility will improve by association. 13. Build out your online networks through services such as Blogtoplist, MyBlogLog, Twitter and Facebook and leverage them to promote particularly useful content on your blog. 14. Once your blog has 1000 or more subscribers, show your Feedburner badge. 15. Host images with Flickr making sure to include an anchor text link in the image description back to the post where the image is used. 16. Use your blog to gain press/media credentials at relevant industry conferences and use the event to create content, connections and increase your knowledge.